In May 2012 the GrowthAccelerator service was formally launched by Vince Cable, targeting 26,000 ambitious SMEs in England over a three year period up to £40m in turnover that have the scope to deliver significant growth. The service delivers Business Development coaching, Access to Finance coaching and Growth Through Innovation coaching as well as Leadership & Management training, a variety of workshops and masterclasses and the opportunity to join an alumni of high growth businesses from a wide range of sectors and industries. GrowthAcclerator is a partnership between government and private enterprise comprising a consortium of key partners Pera, Oxford Innovation, Winning Pitch and lead consortium partner Grant Thornton UK LLP. It is a unique service to help ambitious and high growth businesses find new routes to investment, develop new products & services and define the critical steps for high growth. Sarah Coleman, Director at Business Evolution Ltd, was engaged over a 12 month period to lead the design, development and implementation of strategy and policy for over 2,000 Growth Coaches across England who deliver the £200 million service to SMEs. Sarah was instrumental in developing the GrowthAccelerator Growth Coach community across the consortium partners from the earliest days of the service and was responsible for developing and implementing strategy, policy and procedures for the community. She also led the positioning of the Growth Coach community as central to the delivery of the service and as the face of the service to the client base. 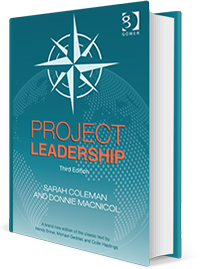 Paul Stephenson, Head of Leadership & Management, Growth Accelerator at Grant Thornton UK LLP said "Sarah Coleman was an important part of the team in creating the legal and process framework for the Growth Coach community. She provided insight and experience at a crucial stage of the mobilisation and was well respected across the consortium. From a personal perspective it was a pleasure working with Sarah and I look forward to doing so again in the near future."